If you’re planning a graduation party, a birthday celebration, a wedding, or any other cake-requiring occasion, you’re going to need to call up an excellent cake shop to help you out! 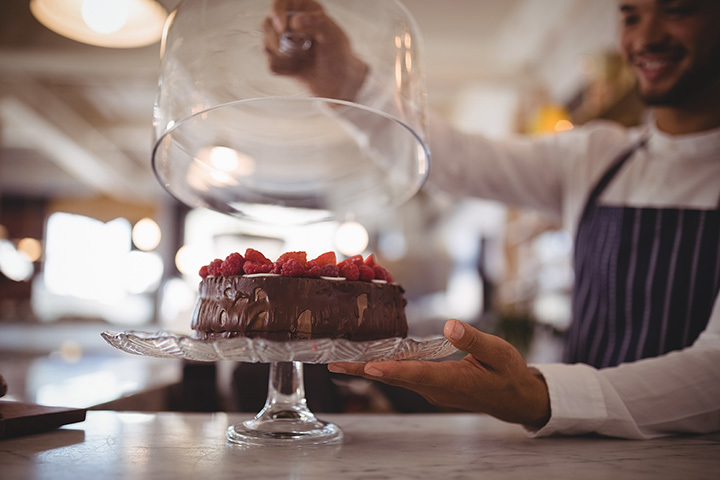 In Michigan, you’ll find bakeries and shops serving up high-quality cakes, with options ranging from shop specialties to customizable delights. These 10 excellent cake shops in Michigan always put the customer first! Detroit's Good Cakes and Bakes represents a wide array of cake choices. Featuring two and three-layer cakes in both eight and 10-inch sizes, along with coffee cake, pound cake, and something called a “gooey butter cake” in a wide array of flavors, it's going to be cake enough for just about anybody. Throw on brownies, bar cookies, cinnamon rolls—a Saturday-only treat—muffins, scones and more, you'll be able to come in for the cake, but you might not be able to leave with only cake. Featuring locations throughout mid-Michigan including all three of the tri-cities—Bay City, Midland and Saginaw—as well as Mount Pleasant, the Gourmet Cupcake Shoppe invites its customers to “taste the art of cake.” Featuring spice cake, citrus cake, alcohol cakes, and even a variety of seasonal specials, you'll be able to get cake by the cup or full cake, and all in a host of different flavors. With locations in Orchard Lake, Warren and Shelby Township, Sweet Dreams has plenty going for it in the cake field. It offers some impressive wedding cakes in a host of different designs, but it will offer cakes for just about every occasion in a person's life. From a baby shower cake to a first communion to birthdays, there's cake like no tomorrow. There's even non-specific cake like the Bumpy Cake, and even an apple pie that appears to have been made to look like a cake. Head to Lansing to get a slice of Whipped's baked goods selection. There's a lot going on here, so restrain yourself when you walk in lest you find yourself face down in a layer cake, not a hundred percent sure how you got there. With available cakes ranging from lemon drop to salted chocolate caramel and most everything in between, there's something here for every cake taste. What's more, they even have a line of 3D cakes that provide an added visual impact along with the taste. If the name looks outlandish to you, don't worry: Kalamazoo's Boonzaaijer Bakery will even include a phonetic guide to pronouncing it. It turns out it's “bone-z-i-er.” Names aside, you'll have a ton of cake and pastry options here, ranging from a chocolate mocha torte and fruit shells to the extreme chocolate single layer cake. If you'd rather not have cake, then be of good cheer, you'll have pies, cookies, raisin buns and more to choose from here too, ensuring that every taste is well taken care of. Sweet Little Sheila's Pastry and Cake Shop in Grosse Pointe offers up an array of baked treats. Sweet Little Sheila's offers a panoply of cakes, but also dipped fruits, cookies, cupcakes and beyond. A cake shop that so readily fills every taste is a welcome one to have on hand. Muskegon's Happy Endings indeed proves that the best can be saved for last. Offering a broad slate of cheesecake options, as well as regular cakes, tortes and more, those who can't find something to eat may well hate sweetness itself. Throw in some unexpected developments like the “Almost Flourless Torte” and the “Waldorf Cake,” and it will become clear that Happy Endings doesn't have a problem in the least with experimenting to find the best. Frankenmuth's SugarHigh Bakery already had to live up to some pretty lofty expectations. Being that it's in Frankenmuth, one of Michigan's leading tourism destinations, if SugarHigh didn't live up it'd be fairly quickly ignored. But winning Michigan's “Best Cupcakes” on Tripping, a feature on Food Network, and several other awards quickly distinguished this place in grand style. Featuring a horde of cake options ranging from the Cuatro Leches to the Banana Split, and even some flavors that won on Cupcake Wars, the end result is cake for days. Saginaw's Mary's Creative Cakery isn't so much about the types of cake available so much as it is about the artistic value of cake. While there's no doubt there are cake and cookies here enough for just about anyone to enjoy, it's the décor that makes this one worth pointing out. Cakes of all shapes and sizes can be had here, and in just about every kind of decoration you can ask for. From a ninja in mid-combat to a cake resembling the Parisian skyline at sunset, it's hard not to get behind Mary's Creative Cakery for sheer, well, creativity. Even the Upper Peninsula is getting in on cake, as evidenced by the Huron Mountain Bakery in Marquette. More specifically, it's Joe's Cakes that shows off Huron Mountain Bakery's power in cake. Joe's Cakes, you see, are a completely custom affair that offers a dizzying array of options for just about every occasion around. Granted, Huron Mountain itself will offer plenty of options ranging from cakes to breads to sandwiches, but it's Joe's Cakes in Marquette that really makes Huron Mountain a powerhouse in cake. View more Michigan Bakeries and Pastry Shops.